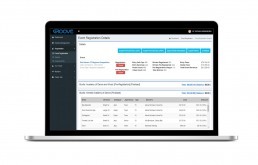 Our custom ERP solution helps the Groove Competition manage things before, during, and after events. Once their team started using our system, they were able to organize more than double the number of events. They are now hosting over 50 events each year throughout the United States and Canada. Groove Competition was started in 2011. They initially managed their activities using Excel spreadsheets. They faced many challenges and experienced human errors due to a lack of organized data. Groove’s founder and CEO Daniel DeFranco quickly realized that a proper system was needed to run their events successfully. He searched for a solution to resolve his problems, but none of them fulfilled his unique business process and workflow. 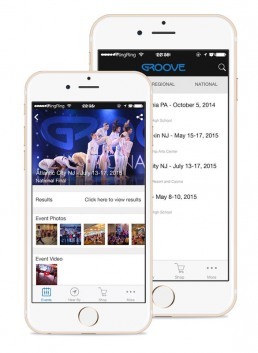 Groove's first touring season hosted 9 regional competitions and about 1,200 dancers. In 2017, they saw over 20,000 dancers cross their stage! In 2018, they hosted 54 events! Daniel DeFranco contacted Sunflower Lab to evaluate their business processes and suggest a solution. 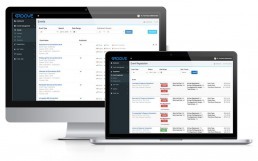 We were able to provide a high-level workflow with a proper plan. We’ve been working as Groove’s technology partner for several years now. We’ve helped automate their business processes, minimize human errors, and provide quick and easy access to their data. Since we began our relationship with the Sunflower Lab, we have gone from a business to a machine. Sunflower Lab's team is really a bunch of rock stars! Running one event per week in different parts of U.S. and Canada is not an easy job. It requires detailed planning and hard work. An event scheduling and HR system provides an easy way for Groove’s management team to schedule low-level tasks and set a task priority list for each individual or team. It provides before-, during-, and after-event management and scheduling options, in addition to managing backstage participants. We are most grateful for the outside perspective Sunflower brings to our company's business processes and their availability. Also of note is Sunflower's ability to navigate our priorities and preferences without much guidance. A Windows-based application developed in C# and SignalR framework captures the score, audio comments, and personal video-feeds for each of the judges. The same system also provides instant notification for any changes in the event lineup. Subscribe to our weekly tips on creative automation and digital developments!